A day off did not ruin Garin Cecchini’s rhythm. After sitting out Monday, Cecchini returned and raked on Tuesday, crushing two doubles and a solo homer, the second three-extra base hit performance for a Salem Red Sox player on the season. But while Cecchini remained locked in, the rest of the Sox experienced little success against Wilmington starter John Lamb, who struck out seven in six strong innings to help the Blue Rocks roll past the Red Sox 10-3. With just a two-run difference heading to the bottom of the sixth, the Blue Rocks erupted for six runs, the final three of which came on Kenny Diekroeger’s bases loaded triple that broke the game open for good. Justin Trapp and Daniel Mateo each contributed three hits for the Blue Rocks as the club registered 13 hits, one shy of their aggregate total from the previous three games. Wilmington plated two runs in the first on Jorge Bonifacio’s two-run homer. The Rocks doubled their lead with two runs in the third, but Sox starter Kyle Stroup stranded the bases loaded to minimize the damage and keep the Sox within striking distance. Cecchini led off the fourth with his second double of the game, scoring three batters later when David Renfroe’s two-out double helped Salem capitalize on the opportunity. It remained 4-1 into the sixth, when Cecchini lasered a solo home run over the left field fence and into the Red Sox bullpen to bring Salem within two. But the Blue Rocks sixth-inning success overshadowed the comeback, with the first five Wilmington batters reaching in the frame against Sox reliever Matt Price. Kenny Swab doubled, Chris Elder tripled, and Trapp and Mateo both singled before Bonifacio walked, chasing Price from the game. After back-to-back outs recorded by Noe Ramirez, Jack Lopez was hit by a pitch to load the bases, and Diekroeger ripped a deep drive to the gap in left-center for a three-run triple, bolting the Blue Rocks to a 10-2 lead. Salem’s fifth and final hit of the game came from Carson Blair, who tripled to lead off the eighth, scoring on Sean Coyle’s ground-out to bring the Sox within seven. All five of Salem’s hits went for extra-bases, with Cecchini recording multiple hits for the sixth straight game, raising his average to a league-best .392. While he struck out in his final at-bat, Cecchini still finished 3-for-4 with two runs scored, an RBI, and two steals. 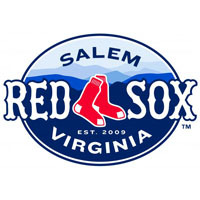 The Red Sox finish the month of April with a 12-11 record, the fifth straight season that Salem won more than it lost in April. The Blue Rocks snapped a seven-game losing streak, improving to 10-15 to finish the month. The two squads reunite on Wednesday for the third game of the four-game set, with Mike Augliera scheduled to square off against Kyle Smith. First pitch is slated for 6:35.